Facebook has approved the creation of 5.7 billion new shares of Class C stock that will keep its CEO Mark Zuckerberg in control as long as he is associated with the social networking giant. The decision, taken at its annual shareholders’ meeting on Monday, will help Zuckerberg keep voting control and allow him and his wife Dr. Priscilla Chan to boost philanthropic activities without diluting the voting control, venturebeat.com reported. “I am planning on running the company for a very long time,” Mr. Zuckerberg told the members during the question and answer session of the meeting. In December, Mr. Zuckerberg and his wife Dr. Priscilla Chan pledged to donate 99 per cent of their Facebook shares — about $45 billion — to advance human potential and promote equality for children. 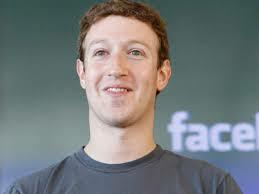 Mr. Zuckerberg owns about four million of Class A shares in Facebook and approximately 419 million Class B shares. Each Class B share is worth 10 votes apiece which gives Mr. Zuckerberg majority voting power and control over Facebook’s strategic direction.